“February made me shiver, with every paper I’d deliver…. Bad news upon the doorstep, I couldn’t take one more step”. Long before I became a teenager, I was a foot soldier in Roy Thompson’s press empire (later Lord Thompson of Fleet!) as a young paper delivery boy. Neither rain, sleet or snow (or the occasional dog bite!) kept little Billy from faithfully delivering the news on the doorsteps of his expectant and often demanding customers. Back then there was no “Daily Show” but people sure wanted their daily news and for the most part it wasn’t all that good. During that time, America had sunk into a funk starting with the stalemate in Korea (a prime example of what happens when you don’t “win” wars!! ), choosing the wrong side in the Suez Crisis (the first of many mistakes in the Middle East! ), stumbling through both the Hungarian and Cuban revolutions and obviously loosing the space race. I say “obviously” because the US space program was an ad hoc amalgam of inter service rivalry with the Army’s Redstone rocket competing with the Navy’s Vanguard rocket. The only thing they had in common was their fiery explosions of failure on the launch pad, the news and pictures of which I dropped on my customers’ doorsteps with depressing regularity. Meanwhile the Soviets had launched Sputnik and were the first to reach the moon with their Luna 2 program and capped it all off with Yuri Gagarin’s orbiting of the earth. At the near apogee of Cold War tension it was clear that the Russian big idea was winning out over the West’s. And as Russia’s “Wild Duck” was about to shake hands with the Big Dipper, Buddy Holly and the Big Bopper were probably holding hands when they crashed and burned at Clear Lake, Iowa. Hell, couldn’t we keep anything airborne!! Clearly not just the music had been dead for some time. Then came the Bay of Pigs fiasco and America’s humiliation was complete. Several months later a young, tax slashing new President would in no uncertain terms commit America to landing not a robot, not a monkey, but a living, breathing man on the moon within a decade. How unrealistic, totally unbelievable!! Was he smoking something other than cigars?? A few months later a man destined to become America’s last national hero would be squeezed into the Mercury capsule and successfully blasted into space. 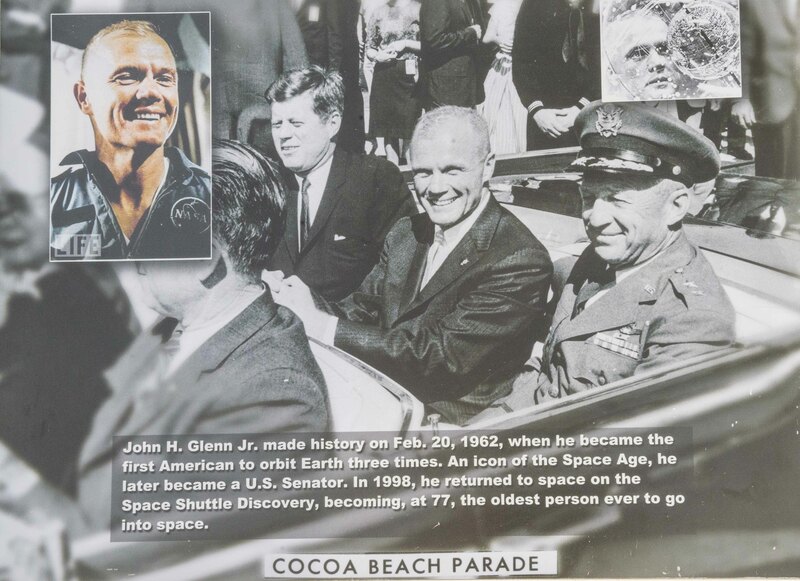 With three circumnavigations of the planet, John Glenn, a fighter pilot in the 40s, a test pilot in the 50s and now America’s first astronaut in the 60s, had put his country back in the race!! Within the next decade earth’s celestial hostage would become America’s new Romper Room. Only the construction of the Panama Canal in modern peacetime and the Manhattan Project in war were comparable in scope to America’s successful lunar Apollo program. But that was then. Since 1972 no one has returned. Think of that! Nearly as much time has passed since the last moon landing as existed between the Wright brothers first flimsy flight and John Glenn’s launch into history. Now when Americans heading to the International Space Station must hitch a ride on Russian rockets, the poor suffering American taxpayer might reasonably ask what return he has had from several hundreds of billions of dollars flowing into NASA over the past several decades. Apparently not much. Of course the detour into advocacy of shaky climate change orthodoxy hasn’t helped (and against which 72 NASA astronauts and scientist have rebelled in an open letter to their presidentially appointed director). Neither has the new NASA priority of Islamic outreach. Not much bang for the buck there if you’ll excuse a pun. So it was that I was thinking of John Glenn when I took the above photo two weeks ago on Grand Turk Island in the Caribbean. Not much happens on Grand Turk. But when it does, it stays on Grand Turk. Forever apparently. 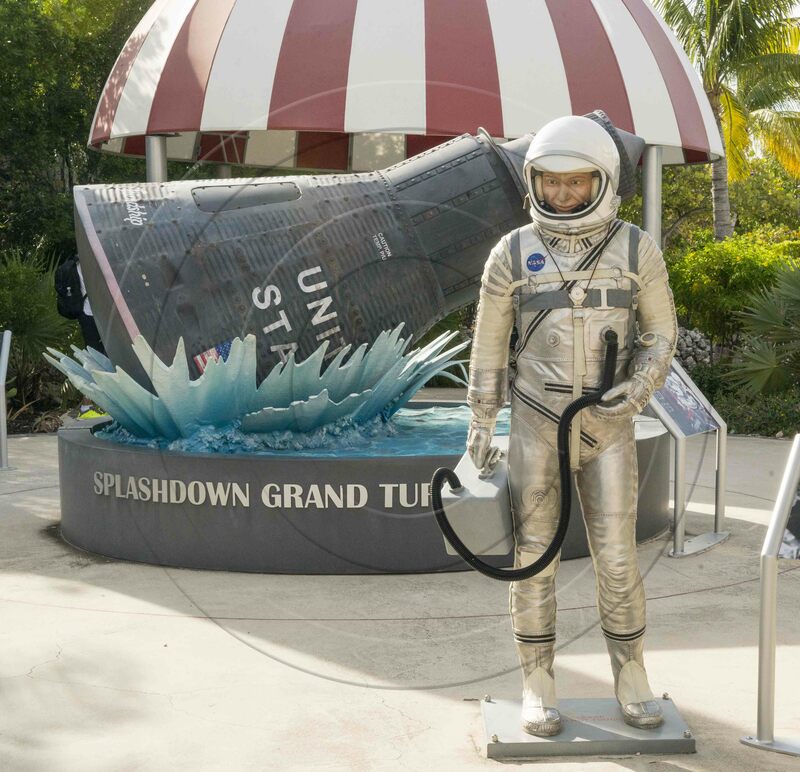 So it was with John Glenn’s sensational return to earth off the shores of Grand Turk in 1962. What struck me the most was the diminutive, claustrophobic size of the Mercury capsule. I’ve done night dives in the Pacific and, I’ve squirmed through the Chu Chi tunnels in Vietnam. I think I can handle tight, dark spaces better than most. But I can’t understand how someone could have climbed into that tiny capsule with no chance of escape and risk immolation in yet another American rocket launch failure. John Glenn, you were a better man than I. Ave Atque Vale! Knowing what we do now, riding in an open cavalcade with JFK is another risk I would want to avoid!! 54 years later they’re united again. Hail and Farewell, the both of you!! You did us proud!! This entry was posted in AVIATION, HISTORICAL. Bookmark the permalink.